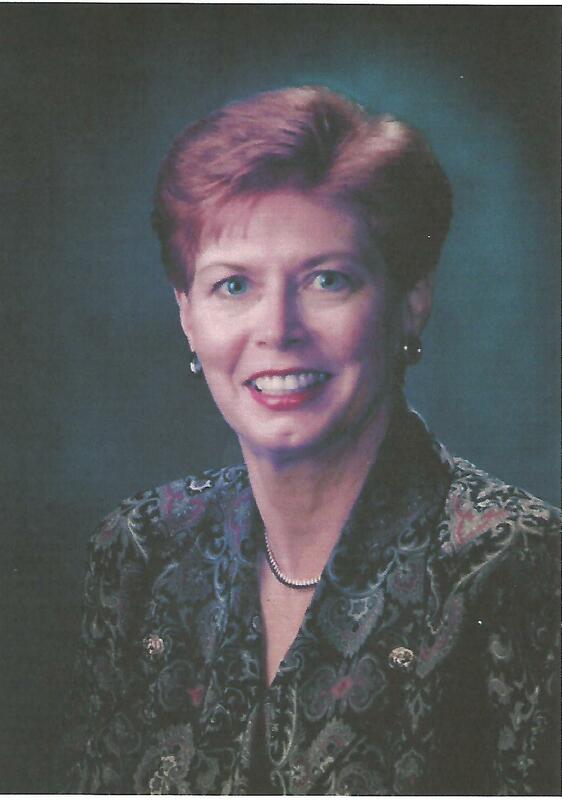 Glennis was a registered nurse in her professional life, graduating from St. Joseph's School of Nursing in 1965. Diagnosed and successfully treated in 2001, Glenys became a strong advocate of breast cancer awareness by participating with breast cancer survivor dragon boat teams. The Survivor Thrivers was her first team and she was instrumental in the creation of the team's cookbook. 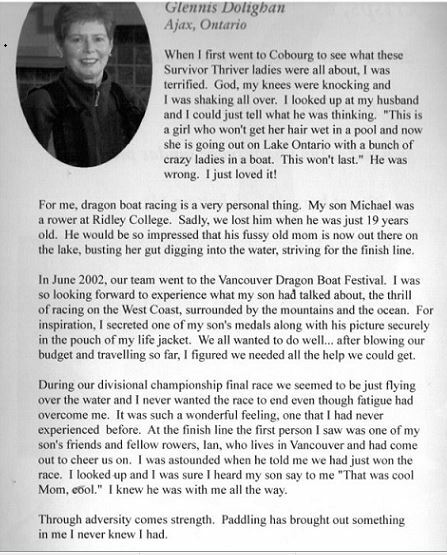 Here is what she wrote for the book about what the Survivor Thrivers and dragon boating meant to her. Following her move to Alliston, Glenys joined Barrie's team: Ribbons of Hope. Glenys raced with her dragon boat teams throughout North America and in New Zealand.